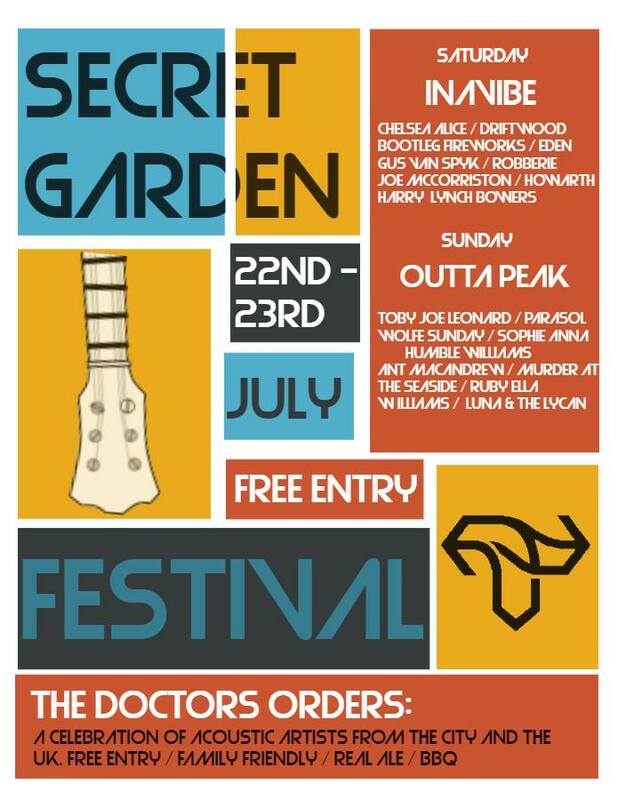 We’re part of the Tramlines lineup at The Doctor’s Orders on Glossop Road in Sheffield this year. 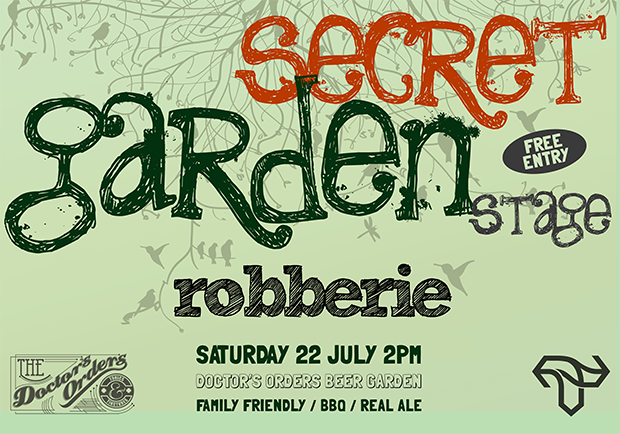 We’ll be playing on the Secret Garden acoustic stage which is in their back beer garden. Free entry – no wristband required. We’re expecting to be on about 2pm. The pub sells real ale and is having a barbecue. Family friendly.